As a Toyota Prius owner living in Southern California, I’ve been invited a few times to share my opinions on the driving experience. I’ve participated in two onsite studies that have included walking around car displays and answering questions from different viewing angles; and sitting among other vehicle owners and responding to touch-screen survey questions. The research studies have been focused on owners of plug-in electric, hybrid, and fuel-efficient cars (like the Smart Fortwo). They appear to be funded by automakers looking for consumer feedback to refine their marketing campaigns. In this year of declining plug-in and hybrid sales (and small cars losing share to pickups and SUVs), there’s been a lot of interest in exploring ways to reach consumers. An Edmunds.com study earlier this year looked at how hybrid and electric vehicle owners have been trading in their cars for SUVs at a high rate this year as gasoline prices stay down. Beyond today’s fuel prices, there are other motivating purchase factors that automakers are taking seriously – as are companies in other industries such as solar power and consumer household products. A special report released last week by research firm Shelton Group delved into what’s working in reaching consumers with an interest in green products – marketing buzzwords that are effective with consumers. It’s been interesting to view the study’s findings, and to have first-hand experience with how market research firms are structuring their studies for automaker clients. One study that I participated in recently delved into future vehicle purchase considerations, and why we chose the vehicles we’re driving now. The study focused on small-to-midsize cars; and small-to-compact multipurpose, sport utility, and crossover vehicles. For clarification in the questionnaire, vehicles like the Honda Fit, Toyota Prius, Chevrolet Volt, Kia Soul, and Ford C-Max were used as examples in various vehicle categories. As for OEM brands, Chevrolet, Ford, Nissan, Toyota, and Volkswagen received most of the focus. Tesla Model S owners/lessors were included in the studies, but the studies do seem to be more focused on major OEMs competing with each other. Advanced connectivity features like Bluetooth, telematics, Wifi hotspots, etc. “Green,” “Eco-friendly,” and “Sustainable” were the strongest performers. “Green” goes back to the early days of environmental policies in the 1970s; “Eco-friendly,” started popping up in the late 1980s; and “Sustainable” has deep roots in the environmental movement, particularly with agriculture, but it’s become the leading terms in recent years – enough to make it to Ad Age’s “jargoniest jargon” list in 2010. “Eco-friendly” did slightly better than “Green” in the study, though not significantly so. Both words performed well with Democrats and Republicans. “Sustainable” was slightly less impressive than the other two, but has been considered even more politically neutral than the other two. All three of them are considered to have a strong association with better health, though green hasn’t changed its reputation for being more expensive than other products. Tesla Motors revamping stores: Tesla will be remodeling its retail stores soon to coincide with the upcoming launch its Model X electric SUV. So far it’s only through one of its stores in San Jose, Calif., where visitors get to see interactive displays built around four major themes: safety, autopilot features, Tesla’s charging network, and the dual motors that power each axle. Tesla will have more cash reserves than expected to pay for these and other projects; its secondary stock sales brought proceeds up to an estimated $738.3 million – well over the $642.5 million the company announced that it needed to raise last week. Tesla sold 3.1 million shares at $242 each to give itself a cash cushion as it prepares to begin deliveries of its Model X. In other news, Tesla announced that it will be installing charging stations at 30 West Coast hotel properties managed by Airbnb Inc. Tesla says these are “high-end” Airbnb properties that come through Airbnb’s “shared economy” model (similar to Uber and other ridesharing companies and Car2Go and other carsharing services) where property owners rent out house space to customers. Ford of Europe COO working with Chinese company: Former COO of Ford Europe Martin Leach is now working for a new electric car manufacturer based mainly in China and California. Leach is recruiting staff for the company but declined to name his new employer; he says that the company doesn’t have a background in the auto industry. The new automaker will start out making electric vehicles and may eventually produce autonomous vehicles, he said. Enhancements in battery technology that will extend range, and government incentives, are setting up a viable market – especially in Chia, Leach said. Connecticut’s big ideas for EV incentives: Connecticut is taking on California to become the cutting-edge electric vehicle (EV) incentive state. In May, “cash-on-the-hood” rebates for EVs showed up, making it the first state to go with the cash incentive model. “We’re a small state, but we have some big ideas, and maybe we can show California how to do this” by using automaker-style customer rebates, said Jim Fleming, president of the Connecticut Automotive Retailers Association in Hartford. The Connecticut Hydrogen and Electric Automobile Purchase Rebate (CHEAPR) program has set aside $1 million for rebates from $750 to $3,000 per electrified vehicle, depending on battery size. The rebates are on top of a $2,500 to $7,500 federal tax credit for the vehicles. There is a way to go in catching up with other states in funding the incentives – so far, only a small part of the $1 million fund is set aside for dealer cash. Carsharing Potential in NYC: Could carsharing services from Car2go and its competitors such as Zipcar actually replace taxis and subway rides? A Crains New York article ponders the question. It may also involve tiny, nimble cars like the Smart cars being used in the Car2go fleet. The challenges and opportunities for Car2go are there, according to the article: Buses are too slow, subway lines can require long routes, and cabs and Uber rides can quickly get expensive. Customers can locate, reserve and open rides on Car2go’s Smart cars with a mobile app, which means the carsharing company could complement the transit system and help fill a hole in the way people get the city. GM investing in Chinese factory: A General Motors join venture in China will be investing about 3 billion yuan, or $470 million, to build “new energy vehicles” for plug-in vehicles and hybrid cars. SAIC-GM-Wuling, a three-way joint venture with SAIC Motor Corp Ltd, GM, and Wuling Motors Holdings Ltd, began construction of the plant last week in the province of Guangxi. That’s coming from the Chinese government’s mandate for automakers to reduce air pollution in cities. New study on EV battery leaders: Panasonic is the market leader in the battery market for electric vehicles, but LG Chem has the potential to overtake Panasonic in what will be a $30 billion market in 2020, according to a new study from Lux Research. Panasonic has nearly 40 percent of the share but its dependence on a single deal with Tesla Motors makes the company vulnerable. LG Chem has a strong client list that includes GM, Volkswagen, Daimler, and Ford. New study on autonomous vehicles: Navigant Research estimates that 85 million autonomous-capable vehicles are expected to be sold annually around the world by 2035. How many of these will be used as fully automated vehicles? Navigant is being vague about it, as are other transportation forecasters. The study focuses on the semi-autonomous technologies already being deployed in new vehicles, such as cruise control on freeways and navigation systems for safely navigating traffic jams. Installing multiple sensors will increase that capability. Prius global sales: The Toyota Prius has surpassed another milestone – seven million units have been sold globally since it was launched in 1997. The Prius has made up the lion’s share of Toyota and Lexus hybrid sales – eight million hybrids have been sold globally with seven million being Priuses. Hybrid models vary outside the U.S., including a Yaris Hybrid sold in Europe and the Crown Royal Saloon Hybrid sold in Japan. Outside the U.S., models vary from a Yaris Hybrid sold in Europe to the Crown Royal Saloon Hybrid, a big rear-wheel drive luxury sedan sold in Japan. Dealing with aging hybrid batteries: Toyota and Honda hybrids have been on US roads for the past 15 years, and many of them need service or replacement to stay on roads. Owners are facing decisions over which of the 3 Rs they want to choose for their battery packs – reuse, repurpose, or recycle. EV World profiled GreenTec Autos, which has been positioning itself as a leader in the field. The company has 11 locations in the US from the West Coast to the Northeast, with a service center in Kansas City. GreenTech Auto also offers a mobile operation to service hybrid vehicles. Last week’s proposed standards by the U.S. Environmental Protection Agency on cutting methane emissions from oil and gas by 40% to 45% from 2012 levels by 2025 will eventually have an impact on natural gas vehicles and fueling infrastructure. For those tracking the impact of natural gas in the US economy, transportation fuel, and electricity generation, legal and legislative battles have become pervasive in the U.S. at the state level; there’s been a lot of pressure on the Obama administration to issue clear national standards on hydraulic fracturing (fracking) and methane emissions governing the oil and gas industry. The Obama administration is remaining committed to natural gas as a clean, domestic energy source, but expects it to align with overarching plans on clean energy; which the electric power industry is going through right now with the Obama administration’s Clean Power Plan. How natural gas is extracted and delivered to end users has become a pressing issue for the federal government to face. “Cleaner-burning energy sources like natural gas are key compliance options for our Clean Power Plan and we are committed to ensuring safe and responsible production that supports a robust clean energy economy,” said Gina McCarthy, EPA administrator, about the proposed oil and gas rules. The proposed EPA standards would deal with finding and repairing leaks; capturing natural gas from the completion of fracked oil wells; limiting emissions from new and modified pneumatic pumps; and limiting emissions from several types of equipment used at natural gas transmission compressor stations, including compressors and pneumatic controllers. The EPA says the proposed standards will complement voluntary efforts, including the Methane Challenge Program, and are based on practices and technology currently used by industry. It would complement programs made during the last 20 years through the successful Natural Gas STAR Program, while significant opportunities remain to reduce methane emissions, improve air quality, and capture and monetize this valuable energy resource. In related news, seven oil and gas businesses have committed to reduce their methane emissions and back the United Nation’s campaign for a global standard for controlling emissions from oil and gas infrastructure. BG Group, ENI, PEMEX, PTT, Southwestern Energy, Statoil, and Total submitted pledges for reducing methane output through the United Nations Framework Convention on Climate Change’s (UNFCCC) Non-State Actor Zone for Climate Action (NAZCA) portal. The EPA’s proposed rules for the oil and gas industry could address concerns over methane leaks producing a lot more greenhouse gas emissions. A study last year by scientists at Stanford University, the Massachusetts Institute of Technology and the U.S. Department of Energy’s National Renewable Energy Laboratory raised concerns over benefits gained by the transportation fuel. The study found that methane leaks negate the climate change benefits of using natural gas as a transportation fuel. The “Rethink Methane” conference held in Sacramento, Calif., on June 9-10, explored the potential of renewable natural gas (RNG) and power-to-gas in transportation and energy. Speakers looked at the challenges and opportunities of how biogas can help California meetings climate protection and air quality improvement goals and strengthen the state’s economic future. Energy Vision, a nonprofit advocacy group, has been following how states like New York are adopting similar policies on RNG as a transportation fuel and on the potential benefits of organic waste. Next month’s NGVAmerica annual conference will host workshops on how natural gas is being addressed in environmental regulations and in government funding programs. The federal Advanced Research Projects Agency for Energy (ARPA-E) is holding its MOVE Program Review, an invitation-only conference, Sept. 14-15 in Denver. MOVE is the Methane Opportunities for Vehicular Energy initiative overseen by ARPA-E; it will be followed immediately by the 2015 North American Natural Gas Vehicle Conference & Expo hosted by NGVAmerica in Denver, which is taking place Sept. 15-17. ARPA-E awarded $30 million to 13 organizations under the MOVE initiative in mid-2012. Nine of the projects addressed the challenge of storing natural gas onboard a vehicle, and four of the projects were for development of home fueling equipment. “GHGs and Climate Change: NGVs and the Road Toward a Sustainable Future” will take place during the NGVAmerica conference and will feature Todd Campbell, VP, Public Policy & Regulatory Affairs, Clean Energy Fuels Corp., and Kathryn Clay, Vice President, American Gas Association. They’ll be discussing how the growing focus on climate change and greenhouse gas emissions could affect policies and regulations for natural gas vehicles. The discussion also will address the potential of RNG and its role in the future growth of the natural gas vehicle market. 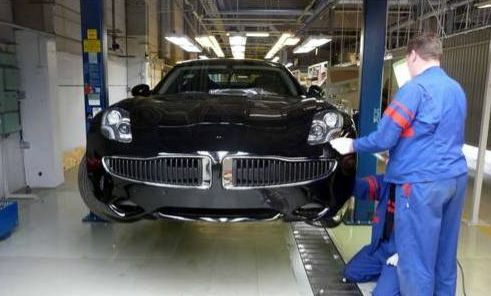 The future of Fisker: More details are being released on Fisker Automotive, which has been on the sidelines since 2012. The revived automaker, owned by Chinese auto parts giant Wanxiang, just signed an 11-year lease deal estimated to be worth about $30 million. Fisker will be opening a production plant in Moreno Valley, Calif., about 60 miles from its corporate office in Costa Mesa. The 556,000 square-foot industrial building is expected to create 150 new jobs, and will be the first Southern California vehicle manufacturing facility since General Motors shuttered its Van Nuys plant in 1992. The city of Morena Valley said that Fisker also plans to feature a showroom and guided tours at the facility. Fisker Karmas had been produced by Valmet Automotive in Finland; the luxury plug-in sports car was expected to be manufactured at a former General Motors plant in Delaware, but that plan fell apart with Fisker’s financial collapse and bankruptcy. Details haven’t come out yet on the 2016 relaunch of the Karma, which went on hold in 2012. Apple wants to test self-driving cars: Apple may be testing self-driving cars at the former Concord Naval Weapons Station in Concord, Calif., which is now called the GoMentum Station. That 2,100-acre facility northeast of San Francisco has more than 20 miles of paved roads, city streets, railroad crossing and tunnels; GoMentum has been utilized by both Honda and Mercedes-Benz to test out their autonomous vehicle projects. Apple engineers from the company’s Special Projects group have been in contact with representatives of GoMentum Station, according to a report in British newspaper The Guardian. 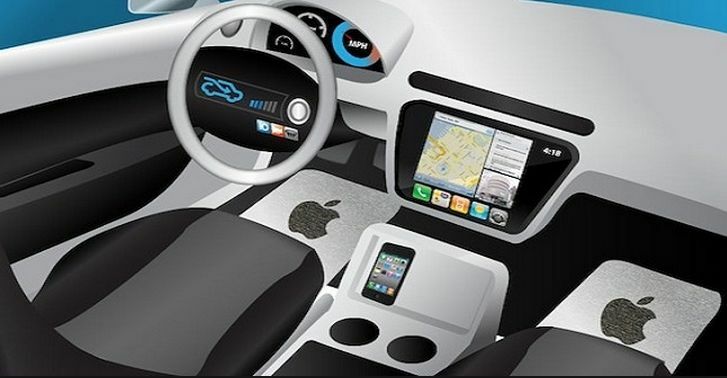 Apple is continuing to show signs of taking autonomous vehicles seriously, and it may coincide with R&D on electric vehicles. It may be Project Titan, the code name for the company’s electric vehicle program. Fleet operators open to stricter fuel economy standards: A new study on truck fuel efficiency conducted by CALSTART and NAFA found that fleet operators believe they will benefit from cost savings from fuel efficient commercial trucks. The study found that 87% of fleet operators surveyed would support more aggressive regulations on truck fuel economy; and 89% are willing to pay a higher upfront cost for a more fuel-efficient commercial vehicle as long as they’ll see cost savings over the vehicle’s lifecycle. That higher cost could be paid off in as little as nine months, according to the study. Urban mobility solutions from Ford: Finding safe, clean, and mobile transportation opportunities in our fast-growing urban settings is the source of many studies and projects these days (with the Brookings Institution finding that urban truck traffic growth is happening faster than urban population growth). Ford’s President and CEO Mark Fields announced three new alternative transportation projects that the company is testing out: Peer-2-Peer Car-Sharing, a pilot program for select customers in six U.S. cities and in London; Multimodal Urban Mobility, an experiment focusing on the many types of transportation used in urban environments. One of these options that Ford is trying out is the new MoDe:Flex, a concept eBike design; and GoDrive, an on-demand carsharing pilot for one-way trips in London with a pay-as-you-go approach and guaranteed parking. What are the benefits of going these routes? Ford says that they will bring more cost-effective commutes, an uptick in multimodal transportation, less congestion and happier drivers. Tesla selling stock: Tesla Motors Inc. plans to raise about $642.5 million through selling more of its stock on the market – up from $500 million from its previous announcement days earlier. That will be about 2.1 million shares of the company. One analyst expects that this offering and its existing credit lines will offer enough cash for operations into 2016. The company burned through $359 million in cash during the second quarter as it expands its auto and energy storage businesses. The Gigafactory in Nevada is seeing a lot of that capital as Tesla prepares to make efficient batteries for its upcoming Model 3 electric car. The capital drain could go away for Tesla if an outrageous forecast by Morgan Stanley analyst Adam Jonas turns out to be accurate. Jonas thinks that Tesla will go from around $280 (though its currently about $243) up to $465 in stock price. He’s basing this assumption of Tesla stock nearly doubling in price on a concept that the company may be rolling out called Tesla Mobility, an app-based on-demand mobility service utilizing semi-autonomous vehicles. Renewable diesel seeing big gains: Propel Fuels is now offering Diesel HPR (High Performance Renewable) at locations across Southern California. 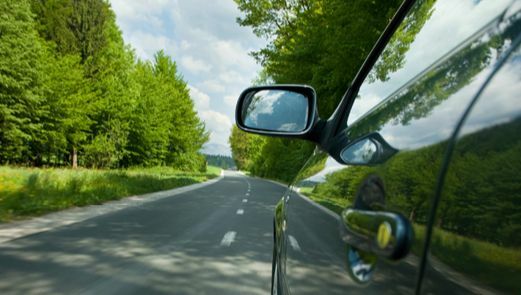 Utilizing Neste’s NEXBTL renewable diesel, Propel’s Diesel HPR is a low-carbon, renewable fuel that meets petroleum diesel specifications and can be used in any diesel engine. Fleets and consumers choosing Diesel HPR realize the benefits of better performance, significant reductions in greenhouse gases, and improved local air quality. Propel Fuels’ announcement comes not long after companies committed to the clean fuel: UPS will be purchasing 46 million gallons of renewable diesel (RD); FedEx will be buying three million gallons of RD per year; the City of San Francisco will be going to 100% RD by the end of the year; and Google is switching its bus fleet to RD. GM and Honda’s fuel cell project: Charlie Freese, GM’s head of global fuel cell engineering, has been very enthusiastic about GM’s hydrogen fuel cell partnership with Honda that started two years ago. The Next generation fuel cell stack is running in their laboratory now that is down almost a half in weight and size, and the cost is dropping down. He says that the two OEMs forged the alliance to standardize parts and get the volume up, which you can’t do alone very easily. Nissan working with Enterprise on college carsharing: Nissan has teamed up with car rental giant Enterprise on a new carsharing service. Enterprise CarShare will be going to 90 college campuses around the country for a rental fee of $5 an hour. For now, Nissan will be supplying 300 vehicles, with up to 25 going onto some of the campuses. Carsharing competitor Zipcar has been moving on campus in the past couple of years, and recently worked with Ford on bringing carsharing to six US cities and London; Ford has tested its own campus program. Natural gas incentives: The Natural Gas Vehicle Incentive Project, funded by California Energy Commission (CEC), started up earlier this month is being administered for CEC by the Institute of Transportation Studies, at UC Irvine. Incentives range from $1,000 for the lightest natural gas vehicles to $25,000 for NGVs with a gross vehicle weight in excess of 33,001 pounds; the project has $10,187,000 available in funding on a “first-come, first-served basis.” Eligible vehicles need to be new (model year 2014 or later), listed in CARB’s Certification Program, and must be registered and operated on natural gas in California (at least 90% of the time) for at least three years. Wireless charging could be here soon: Wireless electric vehicle (EV) charging could make it to the commercial level as early as 2017 with luxury EVs being first to adopt them, according to a study by Strategy Analytics. They’ll probably be an option available on for a fairly high price and limited to mainly luxury auto brands (Tesla, BMW, Mercedes-Benz, Cadillac…..?) when launching in 2017, according to Strategy Analytics. The same issue is there for wireless as for plug-in – for them to be interoperable and able to work across different brands of EVs and charging networks. 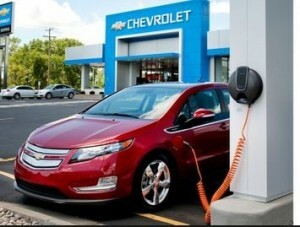 Plug-in electric vehicles are getting hit with depreciation of their resale values. Many of these electric vehicles (EVs) are coming off lease this year, which presents a real challenge for manufacturers’ finance arms and other financial institutions who wrote the leases. 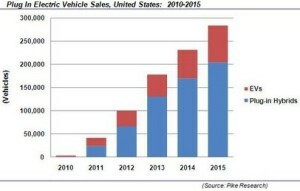 It’s also affecting consumers who purchased the EVs and might be trading them in at a dealership or selling them to private parties; it’s also tough for retailers (dealers) who own these cars, through trade ins or buying them at auctions, and want to sell them at a decent profit margin. NADA Used Car Guide and Black Book are seeing those trends and have reported on it last week. The Tesla Model S is holding its value on the market, but other EVs are vulnerable. For owners of used EVs looking at their options, market research and consulting firm Morpace has asked electric vehicle owners for tips on how to move the metal. NADA Used Car Guide’s Larry Dixon thinks that used vehicle buyers tend to lean more toward frugality than new vehicle shoppers. With that, concerns over upfront cost and long-term durability are more amplified. Black Book’s Anil Goyal sees gasoline prices as the key driver. “Smaller cars have experienced heavier depreciation over the last 12-18 months, but it’s clear that the small mainstream electric vehicles are experiencing even heavier valuation drops,” Goyal said in a Black Book commentary. • Educate dealer staff with their own driving experience – One way to improve their credibility about EV knowledge suggested by respondents was that sales staff actually drive the vehicles themselves to become familiar with the product. Knowledge and some level of expertise on EVs is expected to come from the dealership and the people who are selling them. • Provide a warranty on the battery or replace it – To deal with concerns over expensive battery packs, replacement or a 5-6 year warranty on the battery was suggested. This warranty would be expected to cover replacement costs, repairs, and guarantee a minimum battery range per charge. It would work best if the dealer is seen to be transparent, proactive, and straight forward about the battery and range for consumers to consider buying a used EV. • Report charge cycles – EV owners want to know more about battery lifecycle, and they see the need for an indicator that provides the number of times a battery has been charged to date (equivalent to mileage on an internal combustion engine). Survey respondents think that more consumer confidence in used EVs would be supported by knowing the total number of cycles on the life of the battery and the number of cells still remaining. CAR Management Briefing Seminars in Traverse City: While a huge storm postponed the start of CAR Management Briefing Seminars last week in Traverse City, Mich., things got underway later that day for the 50th annual thought leadership event. 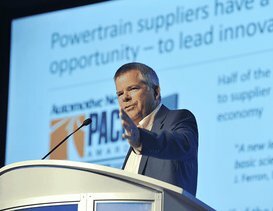 Here are some of the highlights from what’s considered to be the most important annual conference for automotive executives……. The practicality of US and California fuel efficiency and emissions rules set off a heated debate in Traverse City. Automakers are struggling to meet California’s demand to see 15% of new vehicle sales be zero emission vehicles (ZEVs) by 2025, according to executives of two major automotive lobby groups. Diarmuid O’Connell, vice president of business development at Tesla Motors, made the opposite argument. California and the nine other states that have adopted the ZEV policy should make the rules tougher. Tesla profits from selling the ZEV credits to other automakers who aren’t hitting those targets. Chris Grundler, director of the EPA’s Office of Transportation and Air Quality (and featured in the photo above), said that the federal agency has not already set in stone the 4 mpg mandate for corporate average fuel economy. That will be determined by April 2018 after a review in 2017 and 2018. Issues such as fuel process and acceptance of new technologies will be reviewed; and the EPA administrator will make the final decision and will for the next president, Gundler said. Ford Motor Co. was the winner of the 3rd annual Altair Enlighten Award for its use of various lightweighting materials in the 2015 Ford F-150. The award is given out by Altair and the Center for Automotive Research (CAR) and was created to acknowledge innovation in vehicle weight reduction. Ford was named the winner for taking 700 pounds off of the Ford F-150 while improving its performance, safety, and fuel efficiency. China is seeing the manufacturing of a high volume of electric vehicles – 84,700 battery electric and plug-in hybrid electric vehicles last year; and up 83,100 units in the first six months of 2015, according to Yonghe Huang, director of policy research at the China Automotive Technology Center. Challenges prevail, including a lack of public charging stations, a limited number of garages for parking the cars, and not enough demand to sell all these electric vehicles. Air pollution in its major, developing cities and abundant government incentives are spurring the production volumes. Automakers are skeptical about whether all of this will work as sales have been soft; even Tesla Motors has been struggling to get the ball rolling, as indicated by its recent Chinese management turnover right after sales objectives were not met. Using modular parts is dramatically reducing costs for batteries, motors, and other components in General Motors’ six electrified cars, said Pam Fletcher, GM’s executive chief engineer for electrified vehicles, during one of the management briefing seminars. All of these vehicles – the Chevrolet Bolt, Volt, Spark EV and Malibu Hybrid and the Cadillac ELR and CT6 PHEV – share powertrain components and technologies, Fletcher said. For example, the gasoline-electric powertrain in the upcoming Chevrolet Malibu Hybrid is nearly identical to that of the 2016 Chevrolet Volt. Editor’s Note: Ramping up to reach economies of scale and bring down production costs, leveraging its marketing muscle, and retailing through its dealer networks are other benefits that GM holds over small, startup electric vehicle manufacturers. Tesla guards against hackers: Cybersecurity researchers found they could take control of a Tesla Model S in a test project in one of six ways that need to be corrected. Tesla sent out a software patch to address the security flaws and protect Model S owners and the general public from hackers. Cybersecurity firm Lookout and technology company Cloudflare decided to hack a Tesla car because the company has a reputation for understanding software that is better than that of most automakers, they said. Tesla chief technology officer JB Straubel appeared at the Def Con annual hacker convention last week in Las Vegas to thank the researchers who uncovered vulnerabilities in Model S electric car software. Straubel also announced a hike in Tesla’s hacking bounty to $10,000. EV sales in July: Tesla Model S was the clear leader in plug-in sales during the month of July, while the Chevrolet Volt increased to the second position and the Nissan Leaf fell back to No. 3. The BMW i3 had a strong month with a 70% sales increase over June and about 157% higher than a year earlier. Overall, U.S. plug-in sales were down 13.5% from the previous month and 21.4% from a year ago. Editor’s Note: See this week’s feature, “Sales are soft, but OEMs aren’t giving up on zero emission vehicles” for analysis of what’s ahead for green car sales. Stop-start technologies seeing major growth: Chicago-based research firm Navigant Consulting predicts that 35% of new vehicles sold in North America will have stop-start systems, up from 10% this year. It’s part of automakers moving forward on hitting the federal government’s 54.5 mpg by 2025 target. The stop-start system shuts off the vehicle’s engine when it comes to a stop, and then restarts the engine when the driver takes his or her foot off the brake. Mike Calise leading Car Charging Group: Car Charging Group, Inc., a publicly traded supplier of electric vehicle charging services, has named Mike Calise as CEO; Michael Farkas will continue to service as board chairman and Chief Visionary Officer. Calise most recently served as Head of North America EV Solutions at Schneider Electric; prior to that, he was founder of EVadvise, a consulting firm focused on mass scale electric vehicle infrastructure, where he developed the EV Charging infrastructure technology plan for Marin Transportation Authority’s countywide charger deployment as well as others. Clean Power Plan increases goals: The Obama Administration has released the final version of the Clean Power Plan, which raised the bar on cutting carbon pollution from electric power plants to 32% from the initial 30% target. There has been some increased flexibility in the new plan – they must comply by 2022 instead of 2020 and the emissions reductions are phased in on a “gradual glide path” to 2030. The final Clean Power Plan also gives states more flexibility to meet the ambitious carbon standards: they must comply by 2022 instead of 2020 and the emission reductions are phased in on a “gradual glide path” to 2030. On Friday, 365 companies and investors including General Mills, Mars, Nestle, Staples, Unilever and VF Corporation sent letters voicing their support for the plan and encouraged states to release “timely finalization” of state implementation plans to meet the new standards. The National Association of Manufacturers said the rule will threaten manufacturers’ competitiveness and drive up electricity costs. What EV owners think: Ford Motor Co. recently surveyed 10,000 electric vehicle (EV) owners in the US to gain understanding of their perceptions. Overall, EV owners love their vehicles and smart phone applications; 83% will consider, or already have installed, solar power to charge their vehicles at home to reduce emissions and save money; 92% of battery electric and 94% of plug-in hybrid drivers plan to purchase another EV in the future; EV owners use smart phone apps regularly and want to see vehicle health alerts, public charging station locators, charging time indicators, and reserving and paying for charging functions. About half of plug-in hybrid drivers and more than a quarter of battery electric drivers are using conventional outlets (120/110 volt) to charge at home; 88% of EV drivers would like to have a fast charger installed at their home. Propane seeing a strong year: Sales of propane-powered fleet vehicles, and the propane needed to run them, are taking off this year. Propane prices are at a 13 year low and are 75% cheaper than diesel, along with bringing environmental gains of 12% less carbon dioxide than gasoline. The price differential is driven by a glut of propane coming from shale wells, with much of that coming out of the Marcellus field. ICF International Inc., a Fairfax, Virginia, consulting firm, expects U.S. sales of propane-powered vehicles to reach 20,000 units this year, a 35% jump over 2014, and slightly higher than what’s expected to be seen in fleet purchases of natural gas vehicles this year. Tesla quarterly earnings good or bad? : During its quarterly earnings call last week, Tesla Motors said that its energy storage products are taking off in customer orders while the company also downsized its prediction for electric car sales this year – from 55,000 to around 50,000. CEO Elon Musk thinks it will be “quite a challenging production ramp” to deliver a realistic number of soon-to-be launched Model X units at the quality level the company wants to meet. The company reported $1.2 billion in Q2 revenue, up from $857.5 million a year ago. Fortune analyst John Kell thinks it’s all much worse than Tesla reported. Kell wrote that Tesla is losing more than $4,000 on every Model S it sells. The analysis goes to Tesla burning through $359 million in cash last quarter. Tesla had just $1.15 billion on hand as of June 30, down from $2.67 billion a year earlier. Tesla reported that the $359 million was spent on expanding capacity at its Fremont, Calif., plant to make room for the Model X; and for construction costs at the Gigafactory in Nevada. Hyundai and Kia jumping into electrified sector: Hyundai will be expanding its green car offerings through its Hyundai and Kia brands. Along with the Tucson hydrogen model, Hyundai and Kia may be launching four hybrid models, two plug-in hybrids, and one battery electric car between the 2016 and 2018 model years, according to sources familiar with the company. The hybrids may be built on the compact-car platform that will be used in the next-generation Hyundai Elantra and Kia Forte. The hybrids would be powered by a direct-injected 1.6L gasoline engine paired with an electric motor. The Kia might end up being designed as a crossover, and the Hyundai as a liftback sedan similar to the Chevrolet Volt. FCA cyber security vehicle recall: When it comes to following autonomous vehicles/self-driving cars, concerns are typically raised about liability issues after accidents, personal privacy, and acceptance of the technologies by car owners. There is an even bigger issue that will have to be addressed by automakers, technology suppliers (especially Google), DMVs, and NHTSA: cyber security. FCA (Fiat Chrysler Automobiles) is going through a major recall now of 1.4 million vehicles that was spurred by the National Highway Traffic Safety Administration’s concerns over a Uconnect radio system made by Harman International Industries – and which has also been placed in other vehicles by other automakers. 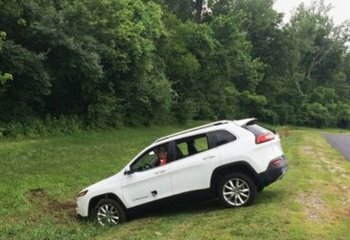 Hackers are likely to find the challenge too big and exciting to set aside; that was the case with a Jeep Cherokee that ended up running into a ditch because of game playing by hackers. That was a safe and legal event recently organized by Wired.com to see if hackers could break through the security wall. Last week, a researcher warned of another potential security breach: hackers could exploit a security flaw in a mobile app for General Motors’ OnStar vehicle communications system. A new survey by Kelley Blue Book indicates consumers are very concerned about how vulnerable they are in today’s connected cars. Automakers are investing a lot of capital and resources into connected vehicles, which they believe is the transition channel over to semi-autonomous and fully automated vehicles in the next 10 years. BMW, Audi, and Mercedes have made a $2.8 billion bid to buy Nokia’s next-gen mapping business; and Apple may work with BMW to bring a customized, autonomous version of the electric BMW i3 to market. My suggestion to the industry would be to send your staff to hackathon competitions in Silicon Valley and offer high-paying jobs to the winners. New developments in Washington: Two legislative items moved ahead Thursday in the U.S. Senate. The Vehicle Innovation Act reauthorizes the Department of Energy’s Vehicle Technologies Program (authorizing $313.6 million in funding for the next budget year, and a 4% increase annually through 2020), which promotes partnerships to conduct research and development to improve fuel efficiency in vehicles. 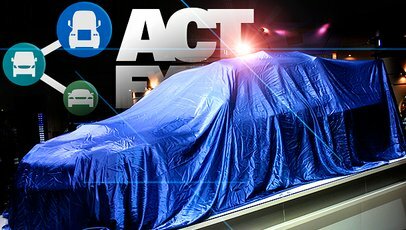 The Act promotes investments in research and development of cleaner vehicle and advanced safety technologies that will create more fuel-efficient vehicles. It was included in the Energy Policy Modernization Act of 2015 approved by the Senate Energy and Natural Resources Committee. On the House of Representative side, President Obama has signed into law H.R.3236, whose many highway funding provisions include a measure meant to ensure that liquefied natural gas (LNG) and propane autogas are taxed fairly relative to diesel and gasoline. Natural gas vehicle industry association NGVAmerica says the passage of H.R.3236 will permanently solidify the law’s alternative fuel measure; the association says that it will modify the federal highway excise taxes on LNG and autogas to be based on the fuels’ energy content, rather than on their volume. Uber enters auto finance: Ridesharing giant Uber has expanded its leasing program for drivers to have cars to transport passengers. It’s called Xchange Leasing and offers drivers more affordable leasing payments. It’s been impressive enough to bring in Cox Automotive and Westlake Financial Services and other companies into pilot programs. In other news, the Global Business Travel Association released results on a survey of business travelers and travel buyers, who say that one in four (24%) of travel buyers say their company does not allow their business travelers to use ride-sharing companies. Right now, 11% of business travelers are using ridesharing companies like Uber versus 36% using rental cars, 24% taking taxis, and 13% using chauffeured transportation. And in other Uber news, Uber just closed $1 billion in another round of funding from investors that include Microsoft; the company is valued at nearly $51 billion and is expected to go public. Major companies commit to reducing carbon: Thirteen large corporations (Alcoa, Apple, Bank of America, Berkshire Hathaway Energy, Cargill, Coca-Cola, General Motors, Goldman Sachs, Google, Microsoft, PepsiCo, UPS, and Walmart) have signed the White House’s American Business Act on Climate Pledge. These companies have committed to using “greener” fleets to help meet carbon footprint goals. In related news, UPS said it will buy 46 million gallons of renewable diesel over three years, 15 times greater than prior contracts, as the company seeks to further reduce carbon emissions. 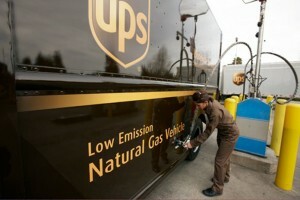 The fuels will be supplied to UPS by Finland-based Neste, Iowa-based Renewable Energy Group and San Francisco-based Solazym. PlugShare Guide launched: Recargo Inc. has introduced its PlugShare Guide, a new plug-in vehicle consulting service for the electric vehicle (EV) industry. PlugShare Guide will develop strategies, policies and plans for assessing, promoting, installing and managing EV infrastructure as well as strategies to accelerate EV adoption using the company’s rich market intelligence, proprietary research and analytical tools. PlugShare Guide’s initial project is with Pacific Gas & Electric to analyze and recommend a layout of fast charging infrastructure across the utility’s service area, in partnership with Energy + Environmental Economics (E3) and U.C. Davis. Work truck study: National Truck Equipment Association (NTEA) and its Green Truck Association (GTA) affiliate division, recently released the 2015 Work Truck Electrification and Idle Management Study, showcasing directional industry trends on commercial vehicle efficiency, system electrification, and idle reduction. The report offers practical insights into the fleet manager’s perspective on new truck electrification technologies and idle management, NTEA said. Cuba opens door to new vehicles: A lot of change is taking place in Cuba, including placing an order for 719 new cars for tourist rentals from China-based BYD. In other news from Latin America, BYD also reported the sale of ten 12-meter K9 battery-electric buses by BYD do Brasil for Campinas, in the state of São Paulo. Campinas will be the first city in Brazil with a fleet of fully battery electric, zero emission buses. New Plug In America exec: Joel Levin, former vice president of business development at the Climate Action Reserve, has been named executive director of Plug In America. An expert on U.S. and global carbon markets and California climate policy, Levin oversaw development of the Climate Action Reserve, the state-chartered nonprofit that runs North America’s largest carbon offset registry. “This year, Plug In America marks the tenth anniversary of our efforts to electrify transportation, and we look forward to expanding our efforts with Joel at the helm,” said Plug In America board president Michael Thwaite. CalCharge adds partners: CalCharge has added six new partners, including major players Toyota and German mega-supplier Bosch. Overall, 18 automakers, parts suppliers, and energy companies have joined the initiative – which has also teamed up with a number of national research labs. CalCharge pairs companies with three Bay Area national labs: Lawrence Berkeley National Laboratory, SLAC National Accelerator Laboratory, and Lawrence Livermore National Laboratory. The main goal of CalCharge is to find ways to boost power, drop costs, and extend battery life. Qualcomm makes deal for wireless charging: Qualcomm has a new deal with Swiss electric car parts maker Brusa, allowing the firm to develop, manufacture, and supply its Halo charging plates to other companies. Qualcomm has fitted its Halo system of wireless, inductive chargers to Formula E course cars and other test vehicles. Wireless charging may be a long way’s out, but Qualcomm imagines a future in which these plates are as ubiquitous as Wi-Fi hotspots; that may include highway charging lanes, where electric can top up their batteries as they drive.